A highly sought after guest conductor with invitations coming from around the world, David Effron has a very busy schedule. 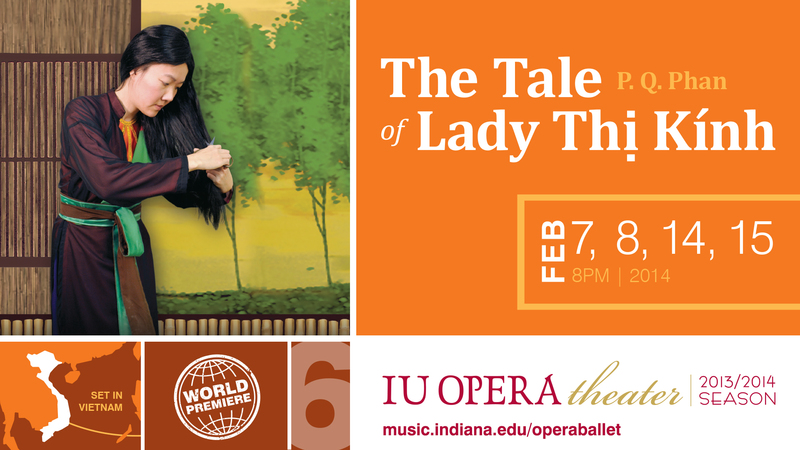 His greatest interest right now, fortunately, is with the opera The Tale of Lady Thị Kính by PQ Phan. When asked to talk about his preliminary ideas about the opera, David Effron was more than willing to share. His special interest in the Vietnamese culture coupled with his favorable impression of the country from the recent visit made this interview an exceptionally enjoyable experience, hopefully even more so for the Vietnamese audience everywhere else who read it. He started the conversation without a prompt for a question, as if he has something to get off his chest. David Effron: It was very important to me to be able to conduct this opera. Not only is the composer and his family a good friend of mine but I have the opportunity, I would call it a privilege, to go to Việt Nam five years ago. Starting in Hà Nội, I worked my way down to Sài Gòn. I was mesmerized by many many things. Việt Nam really made an impression on me because there was such a feeling of happiness, that is the first word that comes to mind, of friendliness. I thought perhaps there are a lot of anti-American feelings but saw none. Vietnamese people were so accepting, and I loved the food. I just enjoyed being around some of the people I got a chance to talk to. Some of them spoke a little English. When this opera came up I thought, “This is for me,” because I am interested in the Vietnamese culture and I thought since I’ve been there maybe I can offer a little something to this piece. I think it is amazing that this tenth century story has not been actually converted to Western theater. This is the first time. I am a little bit surprised because if one wanted to do it, one could make the characters take place in America being American characters because they have such human similarities about what happens in this story. Very common jealousy, honesty, not honesty, and all kinds of things that every human being comes across in their lifetime. I think it is an incredibly fascinating story and it could only be probably put to music correctly by a Vietnamese person. I don’t think anybody could possibly ‘manufacture’ it. This is the real thing – the culture, this kind of Vietnamese theater piece. I think that the orchestration is really good. Probably on purpose, it is never the kind of orchestration that is going to cover the singers. And yet there is a tremendous amount of color in it, a lot of it is supplied by percussion instruments that have actual notes, not drums, but vibraphone, xylophone – they bring so much colors to this piece. We are very fortunate that Phan is here to coach us through this. I think this piece has an incredible amount of possibility dramatically, scenically, costume wise. I also think it is going to be necessary, and a very wise thing to do, to have speeches or seminars or meetings about Vietnamese culture because we (Americans) for the most part know little about the culture, history, and people of Việt Nam. If the people come I can almost guarantee they will find it a very exciting and fascinating theater. There is so much about the characters you can talk about, the Vietnamese style, how people live, the history of this theater tradition. It would certainly enhance the enjoyment of the opera. With just a brief look, I am very excited about this. It also has comic elements in it. That comic scene with Nô and Thị Mầu is so funny. Still, at this moment, I only have feelings and an idea about the piece, and like any conductor, especially with a new piece, it takes a long time, months, to digest it. Non-music people would be curious how you could just look at the score and see the colors, hear the music, see the characters? DE: You want to know why, I don’t know why [laughed.] I cannot answer the question. I see the score and I translate it into my ears. Lots of people can do it. If you’ve been in music as long as I have, you should be able to do that. It is conversely the way they do that as composers – it starts in their ears and they put that in paper; we see it in paper and it goes to our ears. Are there extra challenges for you to conduct a cross-cultural work like this? DE: From my point of view, I will look very strongly towards the composer for style matters. I have my own idea of style but it may not correspond exactly to the style the composer wants it to be. And the way that it is composed has a lot of ethnic feeling about it that we don’t really know a lot about. It is not like Brahms, it is not like Beethoven. So I am sure the composer is going to have some idea about phrasing, tempo, based upon the people of Việt Nam and the characteristics of the people, the rhythm and the speed of the language. All of these things he will be able to help. How much of the cultural understand you have will help in your job and how much of the music alone will do? DE: Obviously, having been there for three weeks, not a long time, but if you have never been to a place, for three weeks I could take in a lot of things, and that will be of help to me; much more so than it would be if I’d never been there. In all modesty, I have very good instinct about music so I am not going to worry that I will bump my head into something I can’t understand. The most important thing is that the composer is right there and can be of huge help to all of us. I have done so much opera in my life, all the standard works practically. What interests me now at this point in my life is that I want projects that are new but are of interest to me for whatever reason. In this case, because nobody has ever written an opera like this, nobody has ever written an opera based upon this Vietnamese theater piece. And my trip to Việt Nam made it important for me to do this. So I insisted that I am the one that went along with this, to my advantage. What is your preliminary impression of the western music for this Vietnamese story? DE: Well, it is western music but also there are elements of eastern music, too. If it were not for the large chunk of western-styled music, it wouldn’t work in this country. The composer writes western music because that is how he writes. But I see some eastern music in it: I see harmony, the rhythm of the language. I think it is a good combination of both, actually. I want to say also, the choral writing is magnificent, in the first scene and the last scene. I can see the way the composer has constructed this work: the story built and the drama of the music built, too. So that by the time we get to the very end it is spectacular with a huge ensemble. He knows theater. I am a theater person. I grew up in the opera house. So for a number of reasons, this opera project really interests me. This is only from about ten percent of what I have known so far about this piece. What is your expectation for the audience? DE: My expectation for the audience, first of all, is that they will embrace the story and understand it, because they should be able to – because a story like this could happen anywhere. I hope the drama of the piece is something that they will embrace, I imagine that they will. I also hope that they understand that this is a historic opera because nothing like this has ever been written before – you cannot take a story from a culture very distant from us and put it into western feelings or thoughts that they can understand. But again, it is going to take a lot of advertisement because I find that people in Bloomington, unless they know it, they are scared to come. But this is something that they can relate to. 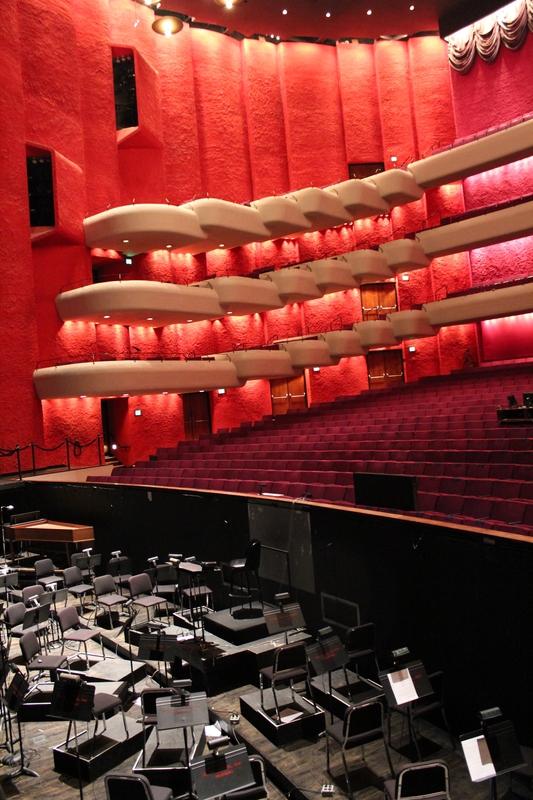 It is very important that the production of Phan’s opera keeps the pace rolling, has colorful costumes which it will, interesting scenery, and drama that will touch your heart – because all those elements are in that piece. Will the audience embrace the music? DE: Opera is total theater. I think if you embrace the music without embracing the drama, you don’t actually embrace it. I think it is all the elements. What helps you in bringing out the best in the music? DE: Outside of getting the composer’s advice, I have good theater instincts, so if I approach this piece mostly as a theatrical piece, a dramatic piece, the music will fall into place. When everything is put together on the big stage, you have a lot of action and drama. Understanding the drama, the characterizations is going to be the biggest help for me, because another thing about this opera is that every character is so delineated. There are no two characters that are alike. That is a positive thing for a piece. That will influence the tempo, the phrasing of a piece. Those are important things to look at. A highly sought after guest conductor with a repertoire of all the standard symphonic works as well as 105 operas, Effron’s 50 year career has included appearances with major symphony orchestras and opera companies in the United States, Canada, Europe, Mexico and the Far East. 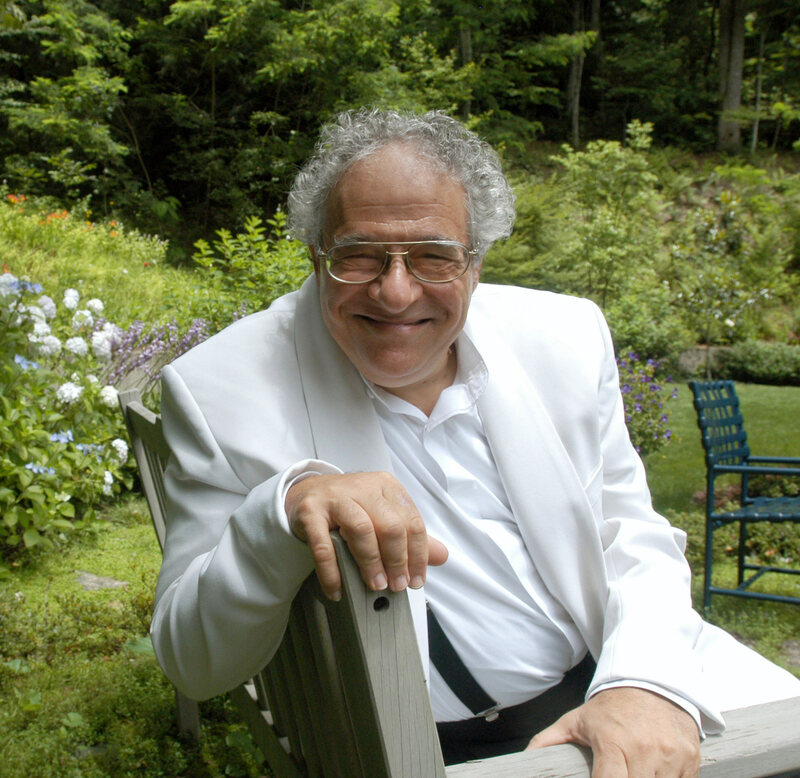 The summer of 2007 marked his eleventh and final season as artistic director and principal conductor of the Brevard Music Center in North Carolina, during which time the Board of this organization established a Artistic Director/Conductor Chair in his honor. Effron was also honored with the title of Conductor Laureate. Over the course of his career, Effron has served as Artistic Director and Conductor of the Central City Opera, the Merola program of the San Francisco opera, the Youngstown (Ohio) Symphony Orchestra and the Heidelberg (Germany) Castle Festival. His discography includes a Grammy award winning recording of Copland’s Lincoln Portrait, Benita Valente in recital which won the German Critics Prize (Pantheon label) and the RCA recording of Corgliano’s Pied Piper Fantasy (with James Galway) which won a top prize from Ovation Magazine. After earning Bachelor of Music and Master of Music degrees in piano at the University of Michigan and Indiana University respectively, Effron received a Fulbright grant for study in Germany and began his professional career as an assistant to General Music Director Wolfgang Sawallisch at the Cologne Opera. Returning to the United States, he joined the conducting staff of the New York City opera, a position he held for 18 years. In his early career as a pianist, he accompanied such artists as George London, Placido Domingo, and Sherrill Milnes in recital and collaborated with soprano Benita Valente as her accompanist for more than a decade. As a prominent educator, Effron taught at the Curtis Institute of Music from 1970 to 1977. 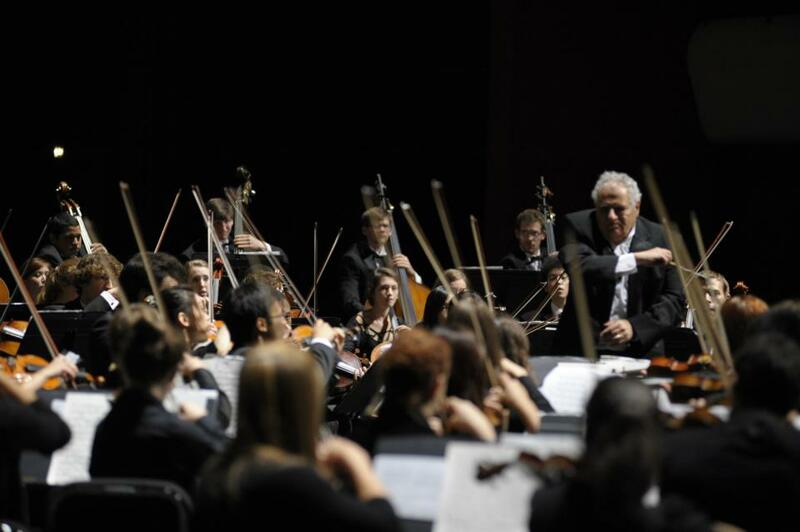 As the head of the orchestral program at the Eastman School of Music from 1977 to 1998, he trained hundreds of instrumentalists who are now in professional orchestras worldwide. His conducting students presently hold music director positions in the United States, Canada, Europe, Japan and South America. 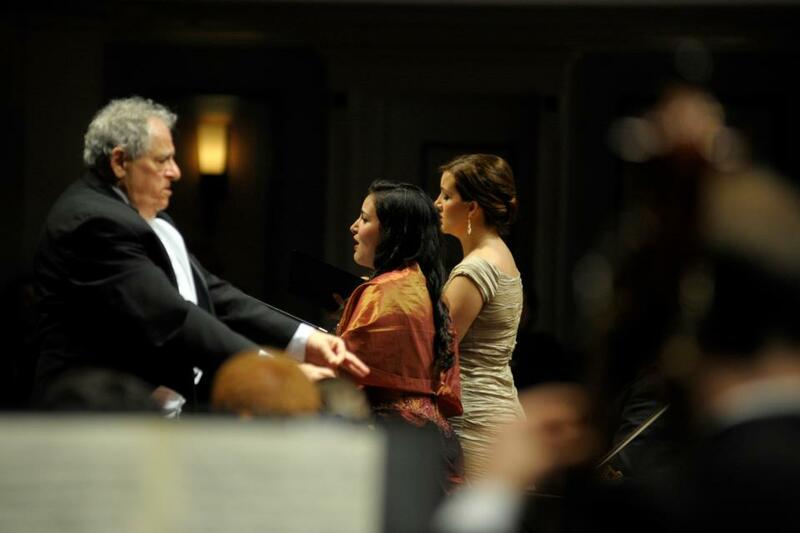 Since 1998, he has been active as professor of music at the Indiana University Jacobs School of Music where he holds the position of chief conductor of the orchestral program and chairman of the conducting department.